Do you just love the comfort of a fall color palette? A fall color palette for interior design is defined by outdoorsy elements like the changing colors of leaves, and harvest elements like Indian corn, squash, pumpkins, and apples. Fall colors bring warmth and coziness to your interior. What if you want to keep that fall warm color palette year ‘round? According to Aleena Khan, “Your home should speak to who you are, so if you like fall colors, then we should incorporate them into the room design.” There are ways to bring in these hues either seasonally or all year. What Is a Fall Color Palette in Interior Design? The fall color palette brings in the warm, natural colors of the outdoors – crisp leaves, bold mums, and woodsy colors. Reds, yellows, oranges, browns, and even deep purples come to mind. Outdoors, these hues appear side-by-side and overlapping, so you can do the same in your home. While a fall color palette can easily feel rustic, fall colors can be sophisticated as well with accents like classy mirrors, shapely lamps, bold accent pillows, and upscale prints. People who favor warm colors may love the up-to-the-minute fall color palette Pantone announces each year. When Pantone evaluates the trendiest fall colors from New York Fashion Week, their choices often appear in many areas of design, from clothing to upholstery. If you find yourself drawn to a certain hue in this year’s Pantone color palette, design consultant Aleena Khan advises incorporating the hue through accent pieces. A playful ottoman or accent chest is a perfect way to bring the color into the room. To carry a fall color palette year round, stick with a fairly neutral palette. Then if you want to swap in other accents as the seasons progress, you can. Choose a subtle or neutral shade for the large upholstered pieces and walls, and incorporate your favorite bold fall colors as accents. 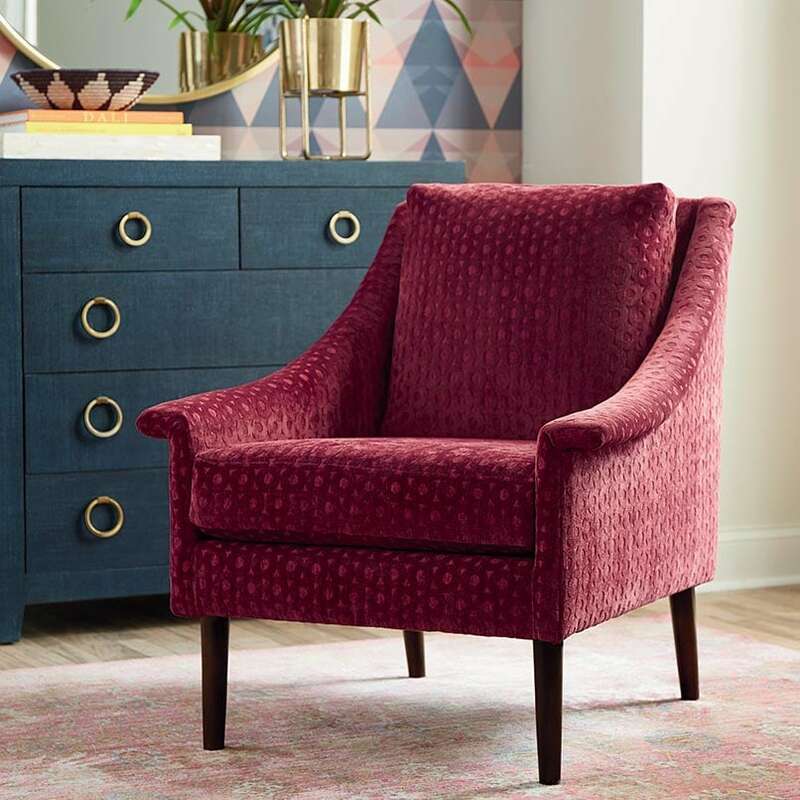 If you have a fall color that you just love, choose an accent chair in that hue, and prepare for a dose of happiness each time you enter the room. Remember to incorporate the accent color at least 3 times in the space to make the look intentional. If most of your furniture consists of neutral colors, you can play it up when autumn comes around with nature-inspired decorations featuring leaves and overlapping colors. Add coziness to your furniture arrangement by creating a reading nook and gathering extra chairs around the fireplace. Accents in plaid, herringbone, and tweedy patterns play up fall as they recall warmer clothes and cozy blankets. 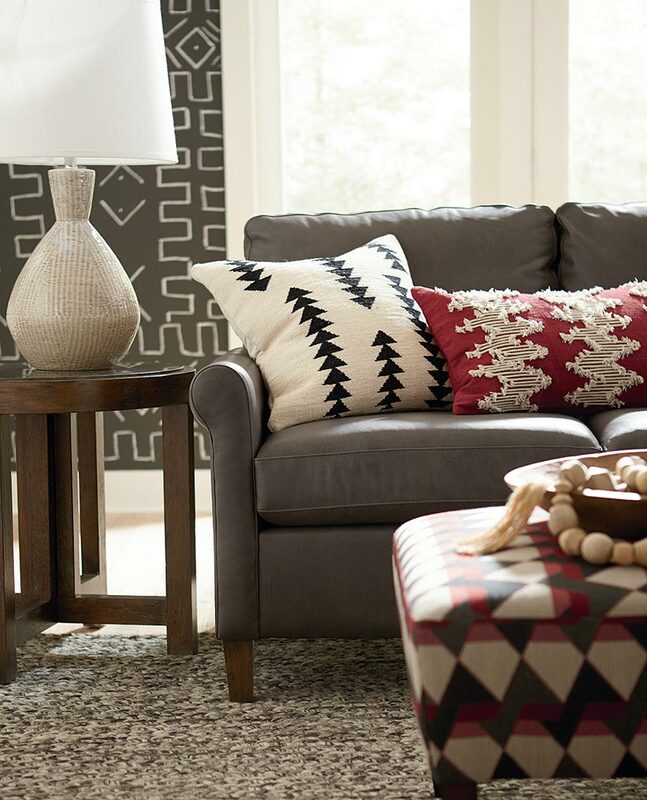 In a neutral space, you can add fun accent pillows to freshen up your home décor, or a few large scale art pieces or accessories to fit the fall color palette. Layer in a warm accent in a rug, or a rough-hewn furniture piece. It’s easy to love a fall warm color palette year round, especially if you have the furniture to support it from season to season. If you want to incorporate fall colors, natural wood tones, or neutral fabrics, shop the Bassett Furniture collection and let your imagination play.